Comments There are few things that catch the fancy and subsequently refuse to leave the mind space for they have fuelled a strong desire. Featured today is one such gem. 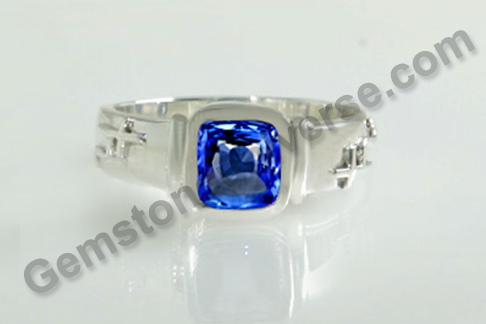 It’s a Premium Ceylon Blue Sapphire of 2.39 carats that has been set in sterling silver as a Saturn Talisman Ring. Note that the symbol of Saturn stands in relief on the shanks of the ring. The most intriguing factor in this gem is its silky cornflower blue color that is quick to embed its richness in the mind and everything else gets pushed back into the recesses. This blue sapphire is completely natural, unheated and not enhanced in any manner. According to Vedic Astrology, Blue sapphire or neelam gemstone is the gem of Lord Saturn or Shanidev. When used in a duly consecrated and energised talisman for planetary gem therapy, it can harness the saatvik energies of Saturn and have profound transformative effects in life of the wearer. 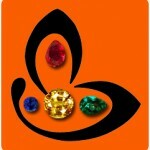 To view the natural Blue sapphire price and inventory please click here.